The EPA Office of Superfund Remediation and Technology Innovation completed the first pilot project of the Partners in Technical Assistance Program (PTAP) with Oregon State University Superfund Research Program and the London School in Cottage Grove, Oregon. The project aimed to give K-8 students a foundation on environmental health science, and then use local history of the Black Butte Mine Superfund Site to engage students on topics related to mercury in the environment and the impact on human health. An educational packet, two videos (Careers in Environmental Health and The Black Butte Mine), and a teacher resource web page were created for the project. Are you interested in bringing scientific research in environmental health sciences or plant sciences to your classroom? 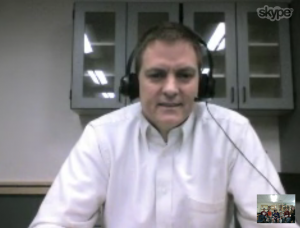 Do you want to learn more about scientific research going on at OSU? Coffee/ refreshments and catered lunch will be provided. 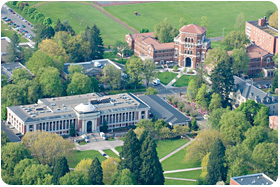 Oregon State is a beautiful campus to visit. Indicate workshop title, your name, school, grade level, and summer contact information (e-mail address, phone number). Pre-service teachers welcome. Housing: Limited funds are available to provide overnight accommodations for participants who live greater than 75 miles away. We will arrange these accommodations in either dorms or local hotels. 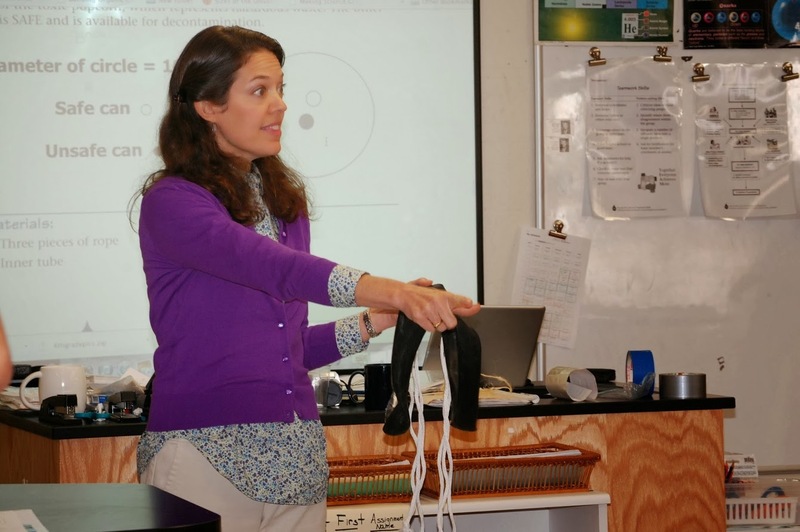 Classroom Equipment Sets to support biotechnology, renewable energy, astronomy, and water quality testing (hope to add this summer) are available for classroom use during the school year for no charge. See list of available equipment. During the summer months local teachers from Salem, Albany and Corvallis attend day long workshops at Oregon State University. These activities center around concepts in toxicology and are led by Diana Rohlman, EHSC Community Outreach and Engagement Coordinator. Team TOX grad students get involved and present outreach modules in toxicology, immunology and environmental chemistry. Students evaluate the toxicity of household chemicals using yeast as a model system. Students sort M&Ms by mass, size, shape and color to understand how mass can be used to identify individual chemicals. A model of a mass spectrometer demonstrates how objects are sorted based on their mass. Students role-play as doctors, using flow cytometry to diagnose a fictional patient. Following hands-on activities, teachers have the opportunity to tour labs that are relevant to the activities. See the STEPs calendar for free teacher workshops this summer at OSU. For further information and questions about the educational materials listed above, please contact Diana Rohlman. Students immersed in the Chemical Conundrum activity. 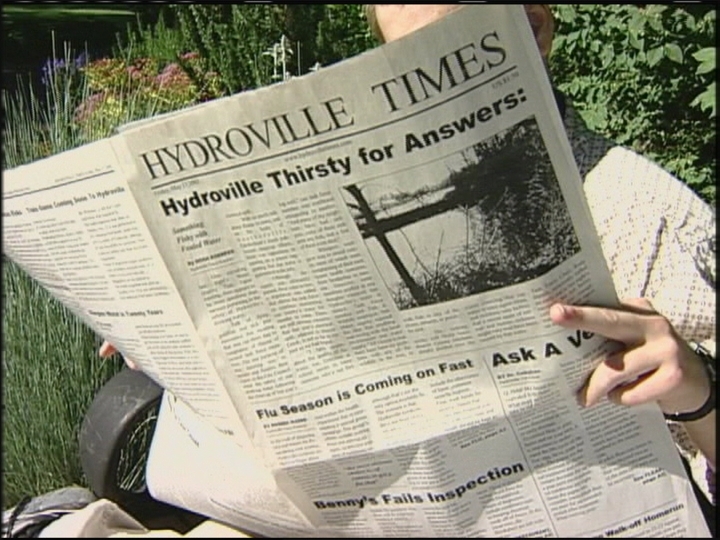 A Hydroville User Survey was sent out to those people who registered on the previous Hydroville web site or participated in the piloting process and Summer Institutes. 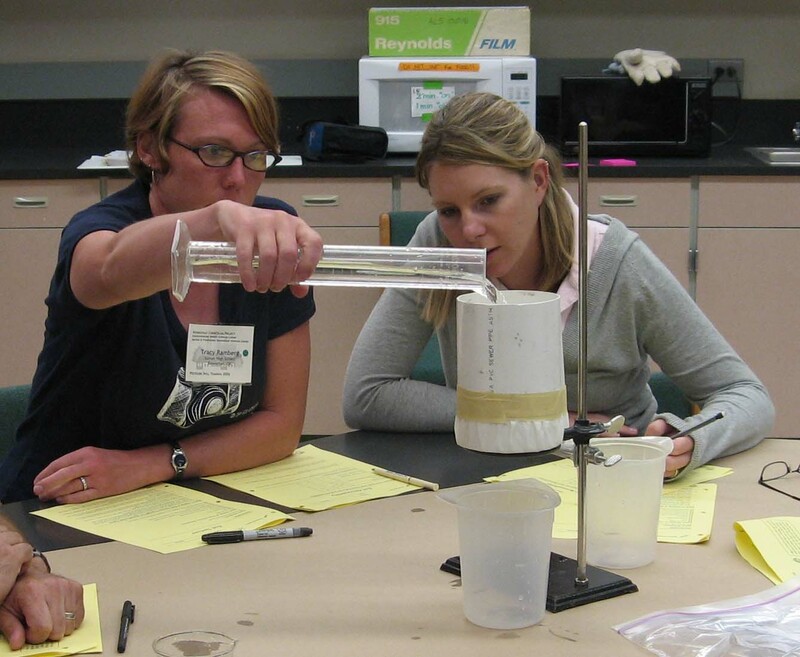 In 2006, teachers joined us at OSU for a training on the Indoor Air Quality scenario. 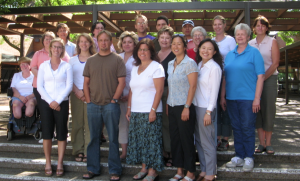 “Summer Institutes” took place from 2001-2007. Teachers’ feedback was very valuable in developing the curriculum. Based on their assessment, 91% of students are gaining knowledge on environmental health topics and issues. The teachers were likely to use Hydroville pieces again and would recommend it to friends. The challenge with Hydroville is that it is difficult to use as a complete unit due to time limitations in schools and some felt it was cumbersome. Alternative and private schools find it more beneficial. Some teachers specifically recommended we have an area for comments, questions, and dialogue on the web site. Since this new site is a blog, we hope you will comment and share information that is beneficial to other teachers. Other recommendations were videos that assist teachers with the activities. We will do our best to share short tutorial videos, images, and adaptions that are helpful. Be sure to subscribe to the blog and follow us so you stay informed as we continue to grow this new blog with useful information. 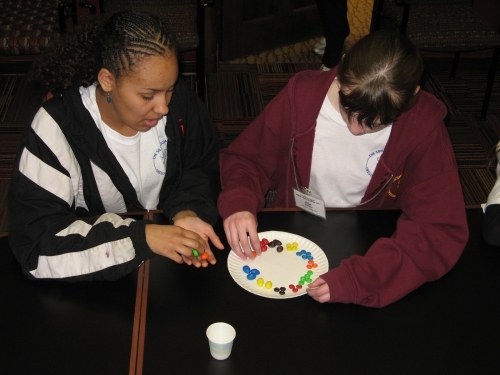 So far this year, EHSC COEC has reached over 500 students through ten different OSU Precollege Program events. The students range in age from 2nd – 12th grade and come from diverse areas of Oregon such as Eugene, Newport, Siletz, Salem, Ontario, and Corvallis. Diana Rohlman, COEC Program Coordinator took the lead with help at some events from Erin Madeen and other graduate students affiliated with the Environmental Health Sciences Center (EHSC). On the EHSC web page, there is a resource page for K-12 Educators, which includes curriculum, eNewsletter, workshops, and funding resources. In addition, Sinnhuber Aquatic Research Lab hosted a 5th grade class on May 12th. 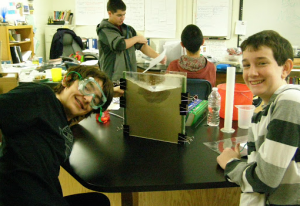 See the story on the SRP blog: 5th Graders Experience All Aspects of Zebrafish Research. We also engage families at Davinci Days and Pet Days. Posted in Events, News, Resources, Success Stories.